The Communities feature works pretty much as you’d imagine. The focus is on getting people with similar interests together for closer and more in-depth interaction. Earlier this year, I created a Writing Circle page to help create a writers community on Google+. But the interactive features weren’t there yet, and coupled with the restrictions on how Pages interact with others, it was difficult to build a community. I feel like Google+ read my mind and understood my frustration. Communities is the perfect solution. Here’s where Communities takes a page from LinkedIn Groups, with a bit more flexibility. Public communities are indexed by Google for search. And you have two options here. Allow anyone to join, create posts, share content and comment on other posts. Keep the group invitation only but still be found through search. Restrict membership as invitation only but still make content discoverable by search engines. Close the group entirely so that membership is controlled and content is viewable only through a private URL. Be careful though, once you set up your group, you cannot change this public or private setting. Many people are so excited by this new feature, they’re rushing to set up their own communities. Take your time though. Make sure you have a well thought-out idea for your community—how you’ll moderate and manage it, how you’ll help it grow, etc. Search and see what communities other people have created, and as always join a few and monitor others. Learn from others’ mistakes. If you want to create a community around your business, make sure it fits your brand, your goals, and offers value to the members who join and participate. Struggling with reach on Facebook due to the ever so cranky EdgeRank algorithm? Encourage your Facebook fans to join your community on Google+. You’ll reach all of them, not just a selected few. 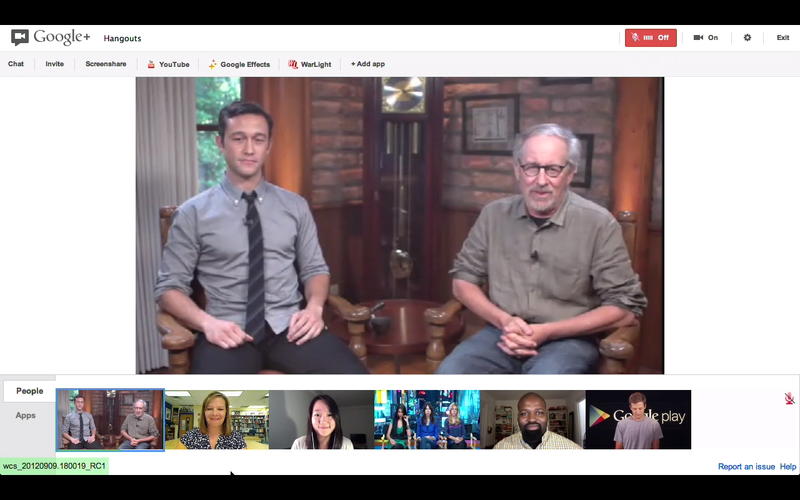 Google+ Hangouts and Communities seem like they were made for each other. And with Hangouts, you can give your audience a close-up and personal experience they still can’t get anywhere else. Be creative and remember, the more you use interactive features like this, the more you get to know your audience. Communities aren’t just great for businesses. Google+ now seems more family and friend oriented as well. Currently on Facebook, you don’t get to see posts from all your friends because Facebook decides which ones appear in your feed. Create a private community on Google+ and stay even closer to family and friends. Set up your phone and tablet so all the photos you take load onto Google+ and then choose which ones to share. You can have Hangouts with far away cousins, siblings and friends and still share the posts and content you’re used to sharing on Facebook. I’m so excited about this feature, and I hope you are too. Think of all the possibilities. If you are already a fan of Google+, you’ve probably already heard of how virtual photo walks have changed lives of people who can’t travel or explore nature on their own. Now, nonprofits can hold support groups in a new, private community. Friends around the world can hold virtual book clubs and interact while they’re reading and then hold a hangout when they’re done. Someone send this post to Oprah—she did just revive her book club and would love this idea. Start exploring for yourself. You’ll see—the ideas will keep coming. There are a ton of ways you can use Google+ Communities. So, what do you think? Will this make you use Google+ or, if you’re already there, will you use it more? On Tuesday, I wrote about how author Ann Patchett promotes not only herself but her whole industry, and why you should follow her lead. 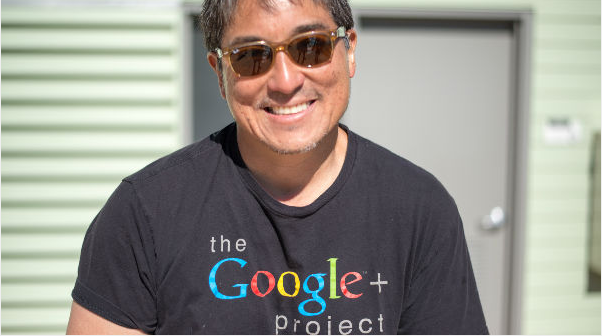 As I was writing that post, Guy Kawasaki was launching a focused effort to promote the use of Google+. …to help you to derive as much joy and value from Google+ as I do. So, let me back up for a second. In case you don’t know, Guy Kawasaki is a gregarious darling of the social media world. He’s a founding partner at Garage Technology Ventures and the creator of Alltop.com. Now, Guy is recruiting fellow evangelists to help promote Google+, using the tag #EvanG+ to give us some cohesion and visibility. You’ll receive an email a few times a week with stuff that I hand picked. I will send only material that I think makes for good posts. In a perfect world, you will take the info in my email, craft a post, and share it with your followers. There are more than 1,500 subscribers after forty eight hours. I figure that the total number of all the followers of subscribers is 3.5 million or so people. Incidentally, in case you’re wondering, Google is not paying me to do this nor did it come up with the idea. This is something I’m doing out of my love for Google+. Note the last sentence above. He is going to all this effort to promote Google+ out of his own love for the site. Will it help Google? For sure. More than 2.5 million people have Guy in their Circles, and he has a little more than 1 million followers on Twitter. Will his efforts help him? Absolutely, and that’s the whole point I’m trying to make. Oftentimes, people hesitate to help promote their industry because they don’t want to help benefit their competitors. We live in a more connected world now, people. Those days are over! I’m not asking you to join the #EvanG+ movement—though it would be great if you did. I’m asking you to be more aware of your surroundings and all the points of your connected network. Start promoting more than just yourself and your business. Promote your industry. Promote things related to your business and industry. If you do this very well, you’ll become know as a thought leader and will likely attract more business as a result. I started my own promotion venture last Friday. I wanted to find a way to help build a thriving writing community on Google+, so I started +Writing Circle. If you’re a writer—author, poet, screenwriter, playwright, etc.—please follow +Writing Circle.